Tetanus is a deadly bacterial disease if not given proper treatment. This disease could be prevented by taking vaccinations- which could be better than treating the disease itself because in most cases, tetanus could not be completely cured. Normally, tetanus could be acquired when a person has a wound infected by the bacteria. Tetanus could be first seen when a person experiences stiffness or contraction of the muscles in the jaw or in other areas, fever, difficulty in breathing, and worse, stopping of the heartbeat. Being infected with tetanus causes the body to produce a certain toxin which could be very harmful and deadly. Progress of the bacteria or the toxins produced by the tetanus causes more severe spasms and more difficulty in breathing. Should this be experienced by the patient prior to getting wounded, rush that person immediately to the nearest hospital for treatment. What Causes Tetanus, And Where Could It Be Acquired? 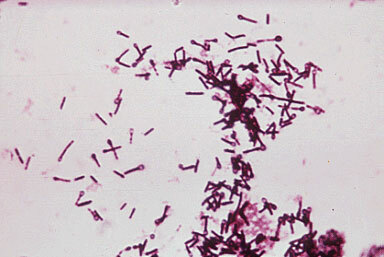 Clostridium tetani, the culprit bacteria of tetanus enters the human body through the wounds. Although it is a common belief that rusty objects such as knives, blades and many others that lacerate the skin causes the disease, there are still materials which most people think of as uncontaminated could cause tetanus. Thus, vaccination could be considered a very good preventive measure. The toxin that is released when the person is infected affects the human CNS, or the central nervous system. Symptoms may differ, and it could go from almost unnoticed to extreme. It is very best to subject the person to a physical examination to know whether or not he is infected with the disease, particularly if the person experiences any of the symptoms mentioned above after getting wounded. Tetanus infection could also be determined by administering blood test to a person suspected having it. An antitoxin meant for tetanus could be given to the patient for the treatment. This would be very effective if diagnosed early, and if the toxins has not reached the central nervous system yet. Otherwise, the disease could really cause death to a patient. Sadly, in most cases, toxins have already reached the CNS by the time it is diagnosed by the doctor. Treating tetanus is a very long process and is usually done in a facility meant for the treatment of the disease. When patients are brought in this facility, not all fully recover. Some of them die within the facility, or end up damaging their brain. Muscle spasms could become very damaging that they cut the airway just right to cause damage in the brain. To prevent this, patients could be given muscle relaxants and could be given a ventilator to breathe normally. As the old saying goes, prevention is better than cure, and it is very true for this disease. Treatment is unsure, lengthy and costly, while prevention is the most effective and budget-friendly way so far against tetanus. Everyone from infancy to their entire childhood should get routine vaccination for tetanus, and adults should be vaccinated once every ten years to protect themselves for a lifetime. When wounded, it should be washed and disinfected. Bites from animals, cuts from non-sterile materials could make the risk higher. If the patients are wounded and are not sure of their routine vaccination should seek for medical advise to prevent getting infected, or to treat tetanus immediately in case of acquisition. Tetanus is a very life-threatening disease. Thus, people should be very watchful in their preventive measure to stay immune against the bacteria causing it. Prevention and utmost sanitation is necessary to reduce the risk of spreading the bacteria to the central nervous system.